It seems like there is always a to-do list (or to make list) running through my head. I feel like I've been really inspired by several projects Blogland. Here are a few or the things that I am itching to try. 1. I'd really love to turn this yummy cream knit into a Petal Tee like this. 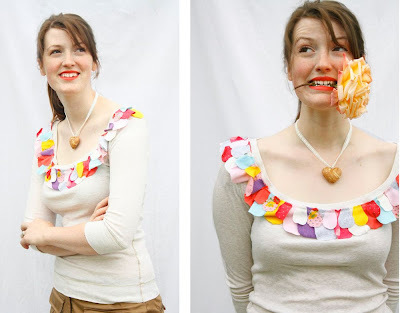 I love almost all of the projects from Ruffles and Stuff, and this is no exception. I love the different colors of petals that Disney used to make her Tee, but I think that I might do a monochromatic version. What do you think? 2. Ashley from Make it and Love it is always coming up with fantastic projects. I think that her daughter looks adorable in this button up made from a boy's long sleeve shirt. Do you think I could pull off a grown up version? 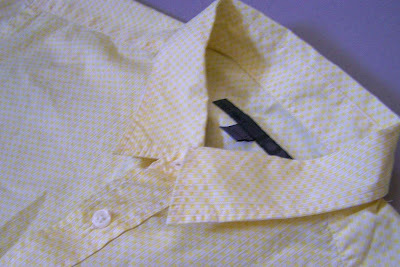 I have this yellow button up that I purchased at Old Navy men's department for only 97 cents. I think that it would be great, but I'd have to alter the sleeves because my yellow shirt is short sleeved. What do you think, gathered sleeves, or a tulip sleeve? 3. 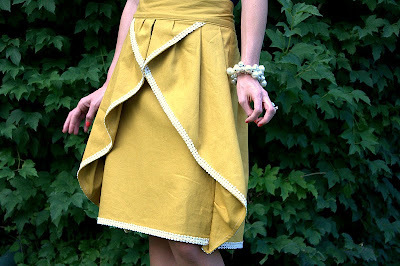 Do you catch this tutorial from Elle Apparel (featured on U Create) on how to make this Pinwheel skirt? I really love how her skirt turned out. I have a bit of a fear that the ruffles in the back would enlarge my backside, and that they wouldn't wear well when seated, but I love it. It looks so great on her. Unfortunately I don't have any fabric set aside for this project, I guess I'll just have to make a trip to the fabric store. 4. I mentioned a few days ago that I don't own many patterns, which is true, but I did recently find a couple of patterns on sale for $1.99 each. This is pattern number 2927 from Simplicity. 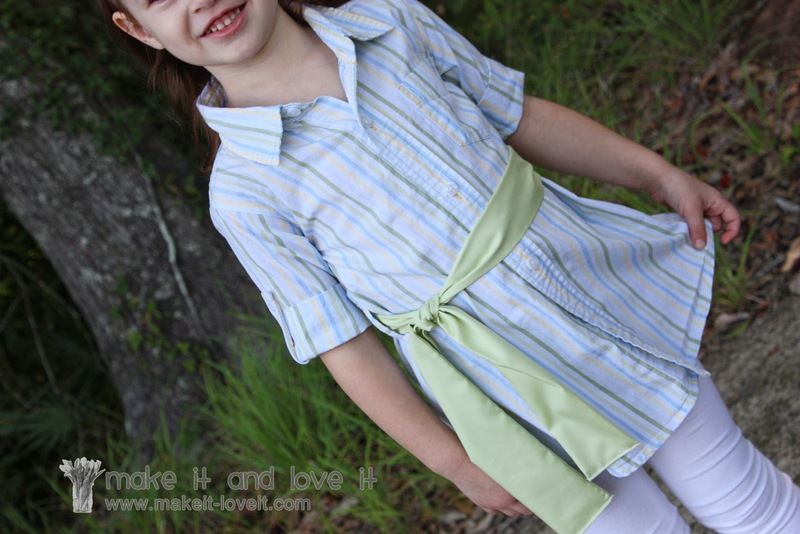 plan on making either the shirt or the sleeved dress. 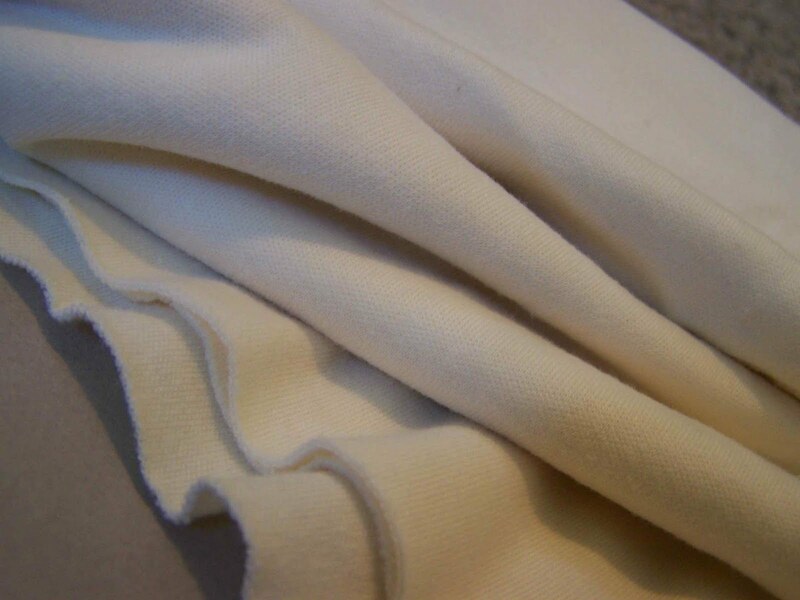 I think that this pattern is definitely going to require some great fabric, any suggestions? 5. Wrapping up the list is pattern number 2403 by Simplicity. 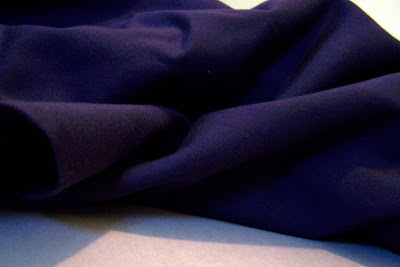 I actually do have some fabric for this project. I found some deep purpley blue fabric on sale that I think will look great. I am debating between the long sleeve version or the short gathered sleeve version. I am definitely planning on making the bodice featured on the right side of the package. I have the fabric all cut out and ready to be marked and sewn, but I just don't know when I am going to find the time to sew this one. It is so overwhelming to me when there are multiple pieces to be stitched together. I'll hopefully find the time once I finish the quiet book I've been working on. You may remember my last To Do list, and as you can see I have not crossed everything off of that list. I just can't help it, my mind starts wandering and before you know it I have a list a few pages long. These are just a few of the projects that I want to try out. What's on your list? Great list. I can't wait to see how they turn out! I love the dress on the right in pattern 2403! I am sure that it will be cute when you get it made.